A decade after learning to squash her wolf and flee the repressive village where she grew up, the packless ache still gnaws at Terra's insides. But despite her yearnings, she struggles against being reeled back into her old life. To Terra's dismay, her father and half a dozen of his henchmen finally ambush her and demand her return. Yet they do offer one way out --- hunt down her nephew Keith, teach him to shift, and bring the youngster back into the fold in her place. Problem upon problem piles up as Terra strives to do her father's bidding. 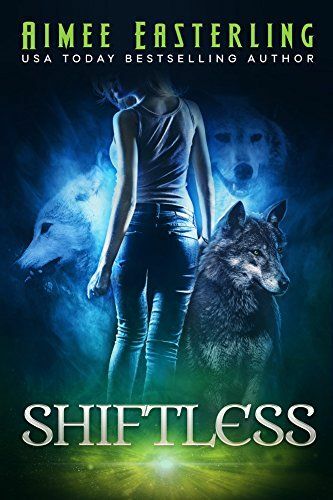 The female shifter has hidden from her wolf for so long that she finds herself unable to change back into canine form, and she also realizes that her nephew is too good-natured to survive for a minute walking in his grandfather's footsteps. Plus, there's an alpha standing in her way who's equal parts enticing and terrifying. Will Terra be able to relearn her werewolf abilities --- and overcome her morals --- before her father steals away her hard-earned independence? And as that tantalizing alpha reels her in closer and closer, the question becomes --- does she really want to stay away? Don't miss the first book in a series that has been described as a "good choice for Patricia Briggs fans."